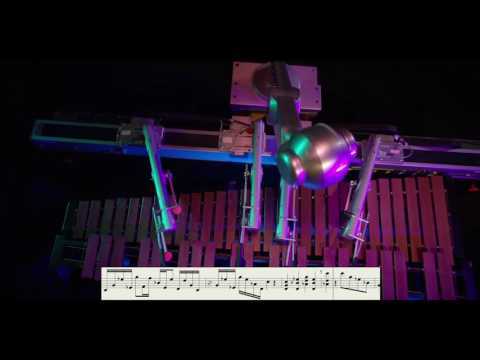 A marimba-playing robot with four arms and eight sticks is writing and playing its own compositions in a lab at the Georgia Institute of Technology. The pieces are generated using artificial intelligence and deep learning. Researchers fed the robot nearly 5,000 complete songs — from Beethoven to the Beatles to Lady Gaga to Miles Davis — and more than 2 million motifs, riffs and licks of music. 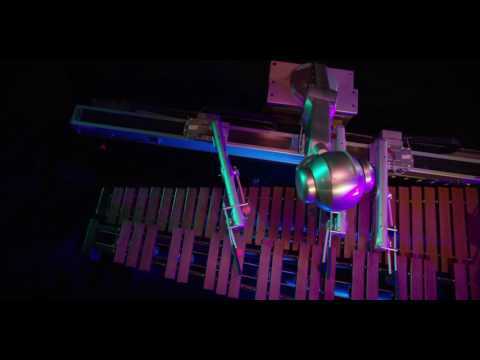 Aside from giving the machine a seed, or the first four measures to use as a starting point, no humans are involved in either the composition or the performance of the music. The first two compositions are roughly 30 seconds in length. The robot, named Shimon, can be seen and heard playing them here and here. Ph.D. student Mason Bretan is the man behind the machine. He’s worked with Shimon for seven years, enabling it to “listen” to music played by humans and improvise over pre-composed chord progressions. Now Shimon is a solo composer for the first time, generating the melody and harmonic structure on its own. 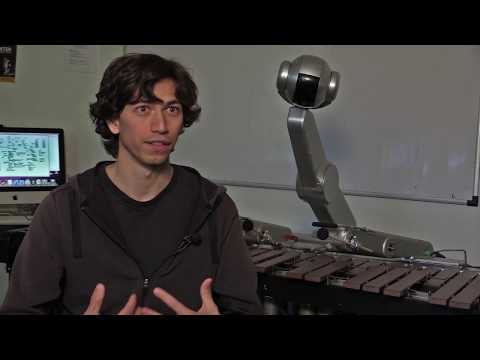 Bretan says this is the first time a robot has used deep learning to create music. And unlike its days of improvising, when it played monophonically, Shimon is able to play harmonies and chords. It’s also thinking much more like a human musician, focusing less on the next note, as it did before, and more on the overall structure of the composition. Shimon was created by Bretan’s advisor, Gil Weinberg, director of Georgia Tech’s Center for Music Technology. Shimon will create more pieces in the future. As long as the researchers feed it a different seed, the robot will produce something different each time — music that the researchers can’t predict. In the first piece, Bretan fed Shimon a melody comprised of eighth notes. It received a sixteenth note melody the second time, which influenced it to generate faster note sequences. Bretan acknowledges that he can’t pick out individual songs that Shimon is referencing. He is able to recognize classical chord progression and influences of artists, such as Mozart, for example. Shimon’s debut as a solo composer was featured in a video clip in the Consumer Electronic Show (CES) keynote and will have its first live performance at the Aspen Ideas Festival at the end of June. It’s the latest project within Weinberg’s lab. 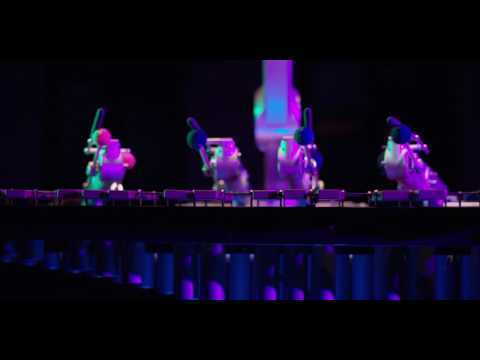 He and his students have also created a robotic prosthesis for a drummer, a robotic third arm for all drummers, and an interactive robotic companion that plays music from a phone and dances to the beat.